Jake loved Pandora. That much was clear, it was a beautiful planet, free of pollution, free of dangers which plagued earth, and free of diseases, or so he thought. It had become clear once the skypeople had left that there was something terribly wrong with others in the tribe, most were fine, but some... had become so ill they could no longer stand up, and had become painfully thin. However, most members simply put up with it, sighting that it would pass, all they had to do was depend on Eywa. Normally Jake would have listened to the people, as usually they knew best. 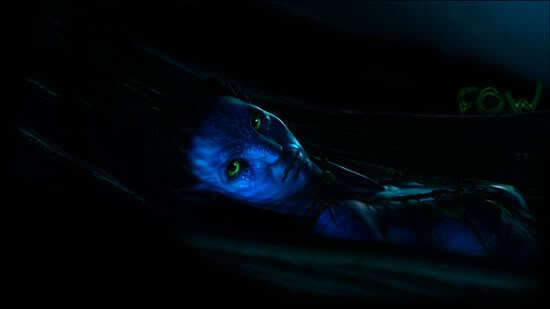 But not this time, Neytiri had recently became ill due to the disease, and because of this he was worried sick. Jake had devoted much of his now 'free' time to finding out about the symptoms of the disease, and with the help of Norm, what caused it in the first place. “So, the disease started with Ninat?” Jake asked Norm curiously, as he crouched inside the already jam packed human lab. Jake put his hand to his head and rubbed his eyes, the drowsiness of the day already coming back to him. “Jake... what was the first thing Ninat did when she became ill?” asked Norm. Jake pondered on this for a second before shouting out loud in exclamation. Norm simply nodded his head and started tapping away at his tablet computer, running various simulations and diagnostics. He then stopped abruptly and shook his head. Jake gulped and gave Norm one look, which told him everything he needed to know. Unfinished, not even a quarter of a chapter yet, just wanted to leave you all with this draft. Don't like the idea of that. Ninat told me that she's going to get you back for this. Hahaha. Great start. If you ever finish it, you will be remembered. Jake simply stared at Norm for a second before sighing. He had to figure out how to cure this disease... From the look of the details Norm had found it spread like the human disease 'Herpes'. And some of the symptoms were similar too, however there were some major differences. Ninat, supposedly the first with the disease, was the least affected out of the clan. She bore signs of the disease, such as the unmistakable black substance leaking from her queue. However, she still went about her everyday business, as if nothing was wrong. Neytiri was one of the few who were worst affected, she was very thin now, and refused to eat. Her queue, once slender and beautiful, was now thin and pale, and leaked a sickly black goo. However she still insisted that nothing was wrong, and that it would pass with time. In fact she still wanted to have tsahaylu with him on a daily basis, which he had agreed to, much to his dismay. “You continue researching this Norm, I've got to get back to everyone, they'll be wondering where I've gotten to...” he bid farewell to his human friend, and gently swooped in through the small opening in the side of the hut. Ninat was one of the first to see him arrive back, as such she bounded towards him, asking various questions. “Hows Norm? Is he doing Okay? Has he found anything Out? Want to have tsahaylu?” It was all a blur to Jake, he had no idea if he was just imagining some questions, or if they were all reality. “Ninat, please this isn't the time for us to talk, I have to go and see Mo'at.” he said as politely as possible, and yet still stood his ground. This really wasn't the time for him to have a discussion. Ninat stared at Jake for a second, and then let out a sad pout and walked away, her feelings obviously hurt. Jake found Mo'at, who was one of the few tribe members who hadn't caught the disease. Jake suspected that this was due to the fact Mo'at rarely had tsahaylu with anyone since Eytukan passed away in the great battle. However, she was still at risk due to her prolonged connection to the tree of souls. Mo'at simply stared at Jake for a moment, and then shook her head. Jake just sighed at her belief, he believed in Eywa too, but this was getting ridiculous. Mo'at smiled at Jake, and walked over to him, cupping his face in her hands. Jake bowed his head and silently prayed to himself that what Mo'at said was right. If not... they were all in big trouble. Big Big Big trouble. Jake thought to himself for a minute, and then turned from the tree, and Mo'at. He had to find Ninat, right now. Moar soon. This will be a short story -> Only around 3-4 Chapters Max.